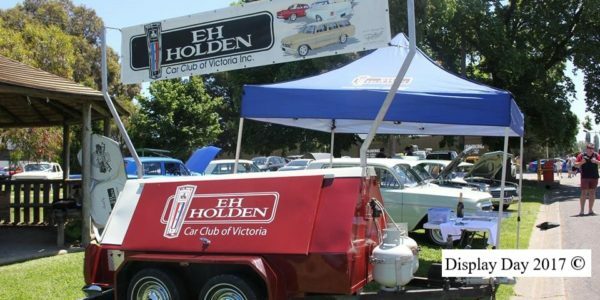 The EH Holden Car Club of Vic. presents a Display day to the public once a year. 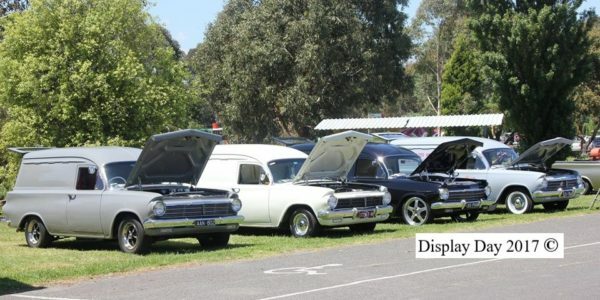 We get our cars out in the later months each year for our largest event. Members polish, clean and some even finish their car for this event. It is a time when we can show to the public what we are all about. A social club. 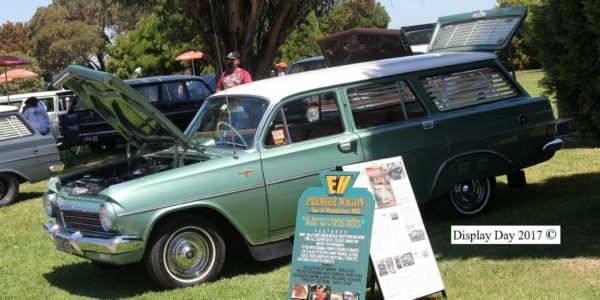 Enthusiasts, interested new members, nostalgia buffs and many others turn up to see what we have on display. 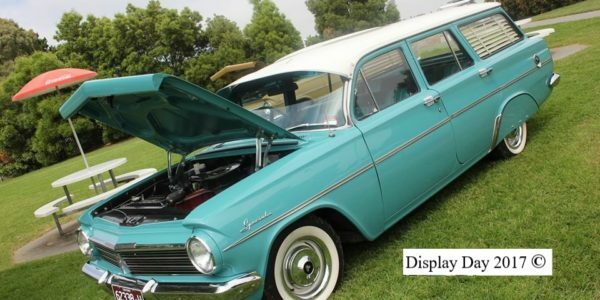 It is not just about having a show or concourse car, all cars are welcome. It is about getting together for a day to socialise and get ideas. 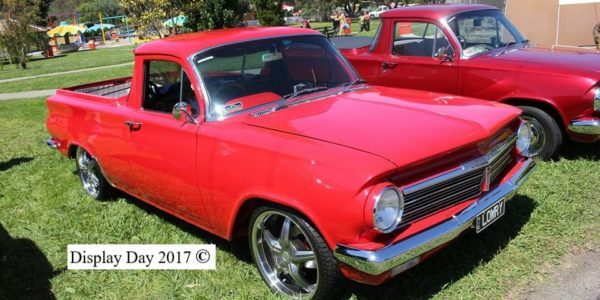 The members do get the chance to vote on, and have their own cars voted on by other members for several trophies presented later on in the day. This is a compulsory event to be eligible for member of the year. You must be a member for three months to be in the running for a trophy. It is also annual club permit plate vehicles inspection day. Don’t miss it. 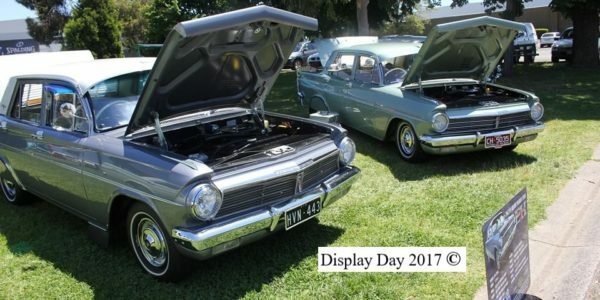 The Display Day has been held in different locations over the last couple of years, including “Southbank” in the city, at Scienceworks museum in Yarraville, and Albert Park. 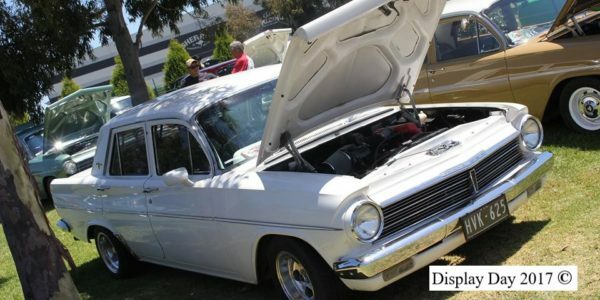 As a club we are actively involved in promotion, and have attended numerous car shows over the years, and gained “Top attending club” awards, such as at Bayside Show 1997, QANTAS Australian Grand Prix 1998 and 1999, Gear Grinders Festival Maldon 2002, Picnic at Hanging Rock and at the Hound Dog Rock ‘n’ Rodders 2002. 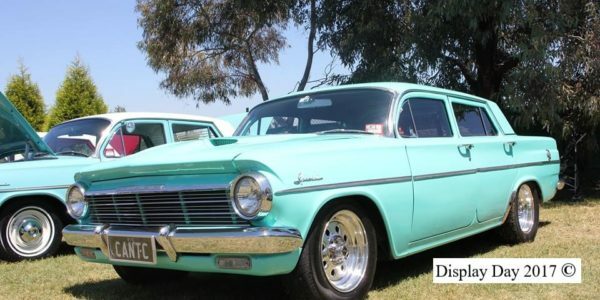 We have also attended the Shannons Albert Park Classic. 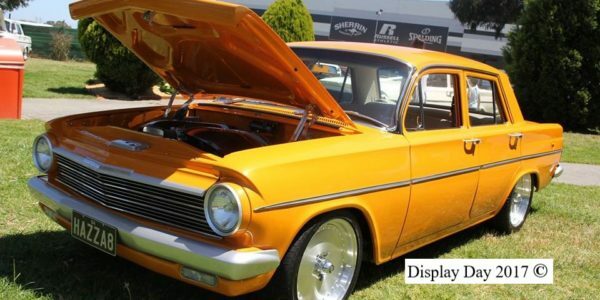 We have also had club cars on display at the Melbourne Hot Rod Show, and attend the All Holden Day each year.